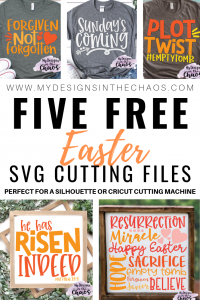 Today we have five free Easter SVG designs for you to download and create with. There is truly one for everyone in this post. 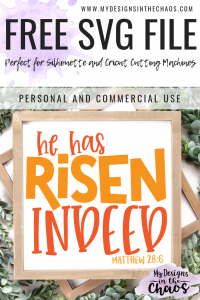 I hope that these free Easter SVG designs bring joy to not only you, as you craft with them, but also to whoever wears or receives the finished product. 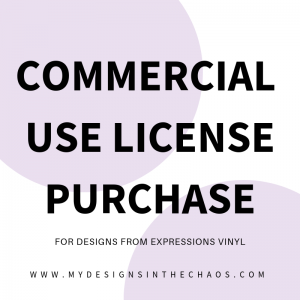 As a reminder we do allow our designs to be used for personal or commercial use up to 200 uses made by you (not outsourced). We don’t allow our digital designs to be re-sold or re-distributed in any way. 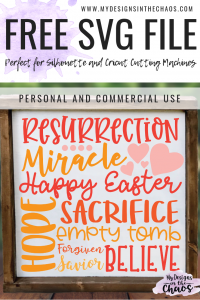 Please feel free to direct others directly to this site to download the free Easter SVG files for themselves. We do not allow our designs to be sold at print on demand shops such as Amazon Merch or Printful. If you would like additional licences or need clarification please feel free to reach out. PLEASE NOTE THAT THERE ARE AFFILIATE LINKS IN THIS POST WHICH MEANS AT NO EXTRA COST TO YOU WE EARN A SMALL PERCENTAGE WHEN YOU SHOP THROUGH OUR LINKS. This phrase is so full of hope and promise. Even in the darkest of times we can be reminded that Sunday is always coming. 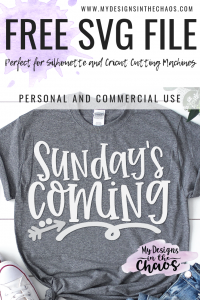 This design is simple enough to be created in all one color on a shirt (these are my favorite and super SOFT) or you can break it up and add a pop of color with the arrow or underline. This post gives tons of great pointers on which vinyl to use when and check out all of our best weeding tips here. Love the fonts we use in our designs? Check out all our favorite spots to get fonts from here. These Easter designs are just full of promise. 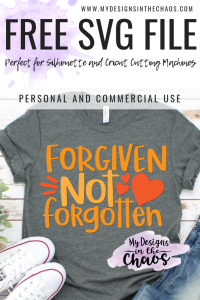 Another great reminder that no matter what has happened to you in the past… you are forgiven and never forgotten. I can see this being super cute on a shirt or even on a sign as a year round reminder. Check out how to make your own farmhouse frame here. If you want to add a little umph, use some patterned vinyl or glitter vinyl for the hearts and for the dashes on the opposite side. This subway art style is always a fun way to display artwork for the season. We did a Valentine’s subway that is available for free here. You are probably wondering what fonts we used and where you can find them too. In this post we talk all about our favorite spots to find fonts but even better this post we share how to identify a font from a picture. You will never be stuck guessing “What font is that?” again. You’re Welcome! 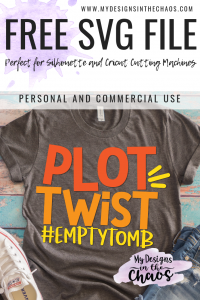 This design is perfect for that teenager who you can never find a good Easter SVG design for. You know the one…. they are too cool but yet you don’t want them to feel left out. Yup! This one is for them. They will love this shirt. It would look great in all one color or you could do a variety as pictured. I can’t wait to see some of your finished products of this one. By now y’all know I have a favorite in each round and this time plot twist is the winner. What do you think? Which one of the five freebies is your winner? This one is classic. I feel like there is no explanation needed. I do always get lots of questions though on the mock up blank. (curious about what a mock up is… check out this post) Find all of our favorite blanks to use here. So what do you think? Which free Easter SVG will you use first? Before you download the designs below please take a moment and pin your favorites! This you to remember which designs you have and it helps us continue to provide free high quality content. Please note that these designs will be downloaded directly to your computer or device. They are in a zipped folder for security reasons and will need to be extracted before use. Check out exactly how to do that here. If you love these designs make sure to let a friend know where you found them. This highest compliment we can get is when you tell a fellow crafter about us. One of the most fun parts about designing files is seeing how they come to life! If you happen to make a shirt, cup, sign, or decal we would love for you to show it off over in our FB community or on our FB page. We want to brag on you and the first 5 designs we see from these freebies will be posted below in our Easter Design Hall of Fame! So get your craft on then get your brag on! Want to see more Easter SVG designs? Browse additional Easter designs here. Thanks very much for the Easter cuts. It’s not about the bunny, is it! Hard to find these. I thought the SVG file ”Three Days Changed the World” was free through the end of today. That design was free until Friday when we released our next batch of freebies here. Sorry for any confusion and hope you had a wonderful weekend!